The past year has been a difficult one for music fans. Beyond the uncertainty that faced many of the world’s clubs, the year also was unfortunately characterized by the loss of a number of extremely talented musicians both young and old. Though far from comprehensive, we put together this list to remember the inspiring people we lost in 2016. Although electronic and club music fans only discovered Pauline Oliveros over the past two years or so, her extensive career in contemporary “New Music” earned her place in the pantheon decades ago. As a founding member of the San Francisco Tape Music Center, Oliveros worked alongside more famous composers and inventors like Steve Reich, Morton Subotnick and Terry Riley. But she didn’t permeate popular consciousness until Rabih Beani‘s Morphine label in 2015 released her last LP, Fire Above Sky Below Now, which triggered or at least coincided with a renewed interest in her music. In early 2016 she came to Berlin’s CTM Festival to conduct workshops on Deep Listening, a concept she pioneered in the 1960s that investigates hearing and listening, and just weeks before she passed an effort to fund a documentary about her life surfaced online. You can donate to the film here. Sharon Jones was a prime example of good things coming to those who wait. The soul singer was mostly known for record she made around the age of 40, especially those she recorded and performed as the bandleader of funk outfit Sharon Jones & The Dap-Kings. Her name reappeared in headlines in November, when she had a stroke while watching the US presidential election—which she jokingly blamed on Donald Trump’s victory. She died 10 days later at the age of 60 due to complications with cancer. Though the man would probably deny it, club culture as we know it today wouldn’t be the same without David Mancuso. The enigmatic New Yorker was the person behind one of that city’s most iconic parties, The Loft. There, he introduced dancers to many of the principles and sound techniques that made Manhattan’s disco, garage and house years so golden. The songs he championed there would go on to become the DNA of garage and house thanks to his followers, who started the Paradise Garage and Warehouse, respectively. His influence can still be felt in many of the world’s best parties today. But nowhere can his presence be felt more than at The Loft, which still happens in his absence—perhaps a testament to his legacy in and of itself. Read disco historian Tim Lawrence’s extensive obituary of the man here. One of the greatest catastrophes to hit electronic music in 2016 happened in Oakland, California. The Ghost Ship, a DIY artist space and venue, burned down during an underground party for the 100% Silk label. 36 people were killed. Among the dead were a number of talented up-and-coming electronic dance music producers such as Cheslea Dolan (a.k.a. Cherushii) and Johnny Igaz (a.k.a. Nackt). But rather than focus on specific artists or people here, we’d like to instead honor everyone who died in this tragic fire. Don Buchla’s name came up more frequently in 2016 than in the recent past thanks to a resurged interest in his machines following the release of a popular LP from Buchla synthesists Suzanne Ciani and Kaitlyn Aurelia Smith. The original Buchla modular synth came out in the early 1960s, when he was commissioned by members of the San Francisco Tape Music Center to create an electronic instrument that could be used in live performances. He developed new models throughout the ’60s, ’70s and ’80s, and then he started to work on MIDI controllers. Though not related to electronic dance music in any way, we thought it was only right to include Canadian singer-songwriter Leonard Cohen on this list. Renowned for his poetic lyrics (he was a poet and novelist first) and monotone singing voice, Cohen penned some of the most enduring songs of the past 40 years. His first hits “Suzanne” and “Marianne” are unlikely timeless classics written by a countercultural outsider. In many ways its particularly sad that he’s left us in 2016, his bleak music has soothed us in some of our worst times, and we will miss him now that he’s gone. Although the cause of Andreas Gehm’s death were not disclosed to the public, the acid producer’s struggle with failing health was publicized when 25 producers contributed to a compilation to raise funds that would support him while he couldn’t tour. So it wasn’t entirely a shock when he posted a video on Facebook from a February 2016 performance in Milan that he predicted would be his last and passed a few days later. The Cologne resident left behind an impressive body of work under several monikers including Elec Pt. 1 that spanned influential labels like Bunker Records, Mathematics and Panzerkreuz. The world lost a true creative when Prince died earlier this year. 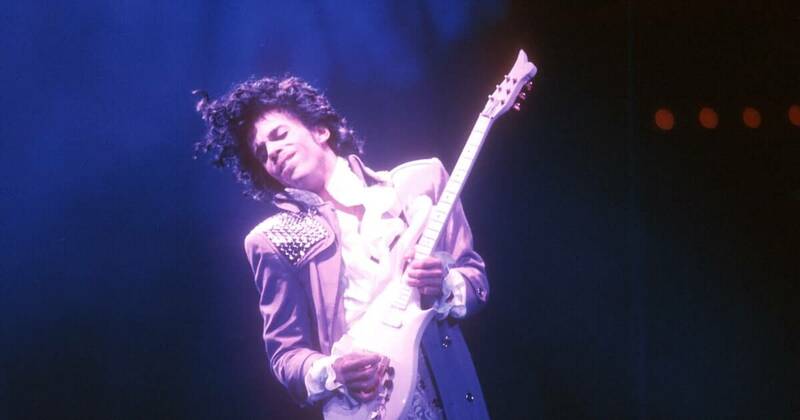 Born Prince Rogers Nelson, the Minnesota-based musician did much to guide the state of modern pop music thanks to the unique “Minneapolis sound” he developed on such groundbreaking records as Sign O’ The Times, Purple Rain and Dirty Mind. He was a prolific songwriter and talented multi-instrumentalist. He was legendary for his quirks (in the ’90s he was known as “the artist formerly known as Prince” after he changed his name to an illegible symbol) but also revered for his seemingly boundless energy while performing. It was not uncommon for him to do three or four encores in a night, and that’s also why it’s still hard for us to wrap our heads around the fact that he’s not around anymore. When we spoke to A Tribe Called Quest founding member Phife Dawg about his formative love for Stevie Wonder and Marvin Gaye in 2015, we didn’t know it would be our last opportunity to tap into his mind. As a member of one of hip-hop’s most seminal outfits, the Five-Foot Assassin dropped some of our favorite lines from one of our favorite groups. His unexpected death in March, which was the result of complications to do with diabetes, became a sad occasion to release our feature. Much ink has already been spilled over the death of David Bowie, so we’ll spare you the standard boiler plate and just explain why he left such a mark on us. More so than any other pop star, Bowie lived a life characterized by a constant process of creative reinvention. Though he only lived to be 69, his many personas ensured he lived many more lives than the average person. From his early works as Ziggy Stardust to his later reinvention as a junglist, he graced us with some of the most fun and far-out music we’ve ever heard. Here in Berlin we’re particularly partial to his material with Brian Eno that began with Low. And we have to say that, while we wish he was still with us, his departure was handled with typical Bowie panache—we still get chills when we listen to “Lazarus” today.